In my opinion, there are two reasons to pay someone else to do something: 1) I am incapable of doing it, or at least incapable of doing it was well as the person I am hiring or 2) I don't want to do it. Our decision to hire a financial planner was based a little bit on both. 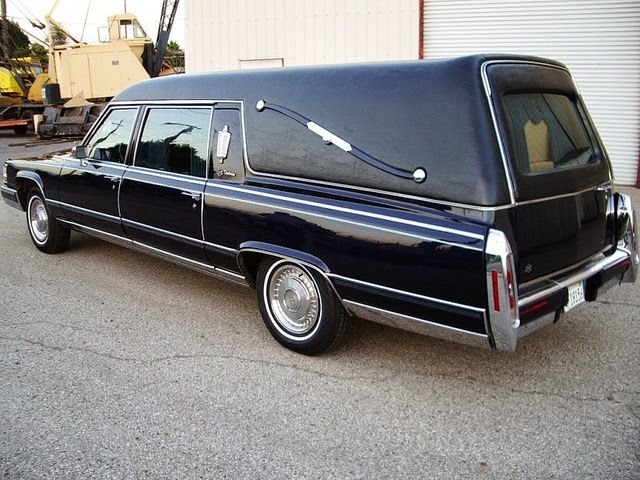 As I mentioned in the first post in this series, the death of my father along with some other things going on in life have reinforced the idea that retirement is not that far away. Further I now have a bigger pot of money to deal with at one time than I ever have before (my inheritance). We have always managed our own investments and at one time we (particularly me) kept up with the world of personal finance. I COULD do it alone I think, but looking at my portfolio performance lately, and looking at things I've read in the last month or so, it was pretty obvious that I had not been keeping up with things, and it was costing us money. We decided to give a professional a try, and decided to use our CPA, as noted in the original post in this series. Last week we had our second meeting with him. The first was a no-obligation sales pitch about why we needed financial planning services and why our CPA was the person we should hire. We also discussed fees--a percent of the assets under management. By the second meeting, we had decided to hire him, so it was time to get to work. I wanted to know if we were on track for retirement at or above our current standard of living, given our current income, current savings rate, and current expenses (particularly the three two-legged expenses that live in our house). I wanted to know if we could save less and spend more--or if we needed to spend less and save more. While I certainly want to save for the future, I don't want to be one of those people who lives in little better than poverty, only to die with a huge nest egg. I know our investment portfolio is not doing as well as the market and our funds have low Morningstar ratings. It it time to move them into something better and I wanted help with that. The funds we have were winners in their time. Unfortunately, that time is past, and probably has been for some time. I need someone to keep an eye on the funds and know when it is time to say goodbye. I could do that myself--Morningstar ratings are readily available but the reality is that I haven't done so, and the paperwork involved in moving IRA money from one fund family to the next is a nuisance. I wanted help with asset allocation. I keep reading that people my age should not be fully invested in the stock market--that we should have bonds and other investments as well. I don't know a lot about those options, but I do know that the mutual fund I own that has a lot of bonds in it is not performing well. That doesn't exactly encourage me to buy more. I have a special needs son. I need to make sure he is taken care of when we can't do it any more. I'd like to minimize taxes, both now and in the future. We aren't there yet. He has said they have a program where they input your goals, your income and your savings and then tell you if you are on track, and that we will get to that. This is pretty much in the same place as #1. He got copies of all our investment statements, asked about our savings and what I'm expecting from my Dad. 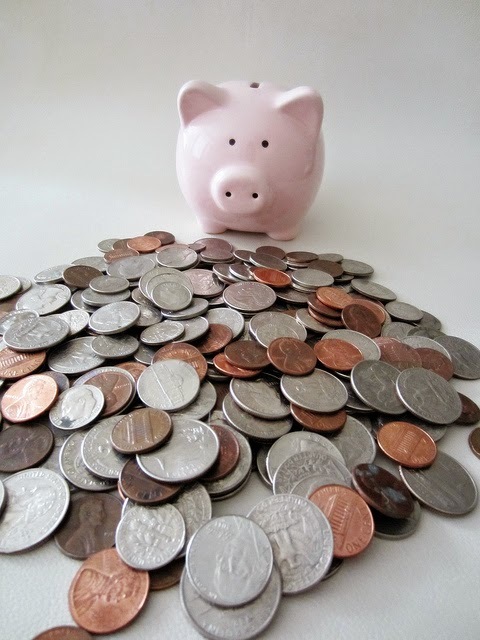 We are keeping our Roth IRAs where they are since we are happy with their performance and giving him the other investment accounts to re-invest. He works with a company that advises him about mutual funds and which develops model portfolios based on risk tolerance. Also, he got the list of available funds into which we can invest our 401Ks and will advise us on which to choose as part of our overall portfolio. That company also watches those funds and pulls people out if managers change, performance lags or their needs change. He agreed with me about bonds, even before I mentioned I wasn't crazy about them. He said that in his opinion, at least at this time, the returns weren't worth the risks. He had barely heard of peer-to-peer lending but thought it sounded interesting. He suggested seeing an attorney to set things up for my son, but did mention that we might want more savings than many people in our economic bracket, specifically to leave something for my son. He is going to take a look at our assets and our tax situation and see if there is anything else we can do. Specifically, he is going to run the numbers on converting our IRAs to Roth IRAs. Also, he agreed with me that living on the portion of my inheritance that I have already received, and socking away as much of my paycheck as possible in my 401K for the next six months was a good move (even though it means less money for him to manage and charge for). Only time will tell whether we get our money's worth from him, but I figure that if we get the advice I'm seeking on #1 and #2, that's worth a year's management fee. After that, he'll have to convince me either that he is making us more money that I would or that dealing with all of this is more trouble than I want. Question of the week: Do you use facebook? Do you promote your blog on facebook? Why or why not? My Answer: Yes, I use facebook, and no I don't usually use it to promote my blog. Most of my friends and family aren't readers and aren't really interested (at least in my opinion) in all the books I read. I may post when I have a giveaway or if I REALLY love a book but I read facebook to learn about people and I hide all those game posts and other things that don't tell me what I want to know. 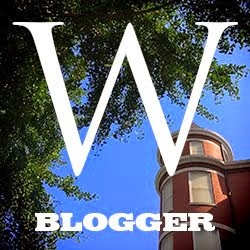 I am part of a facebook group of bloggers from my alma mater and I'll promote my blog there, but that's the reason for the page. 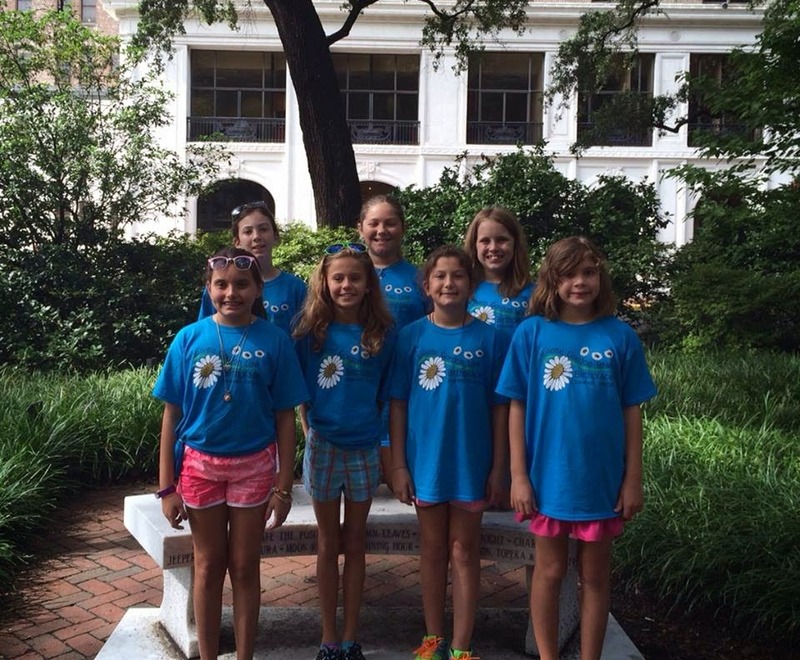 This week I got the closest I've ever been to the South Carolina Low Country--I visited Savannah Georgia with the Girl Scouts and we got there via school bus. I had a lot of time to read and as I'd read, sometimes I'd look up and out the window. As we were heading north from the Florida Panhandle through Georgia to Savannah, I think I got an idea of how the Low Country must look, as the descriptions in the book matched the scenery out my window. 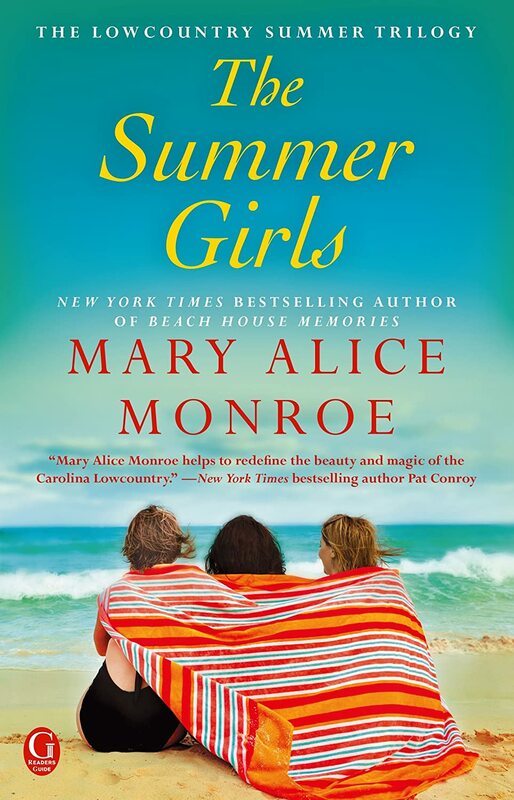 The relationship between sisters is often complex, and these sisters were really more like cousins--they only lived together during the summers, at Mawmaw's house on the beach. 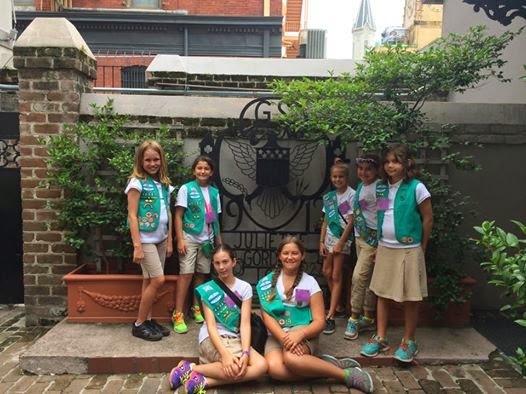 None of these sisters had a conventional childhood and all bear scars because of it. Mawmaw carries her own scars but wants her girls to heal. As noted above, Carson is the focus of this book but her sisters are more than bit players. There is a little romance, a little introspection and a lot of family love. It is a perfect beach read and I recommend it. Grade: B+. 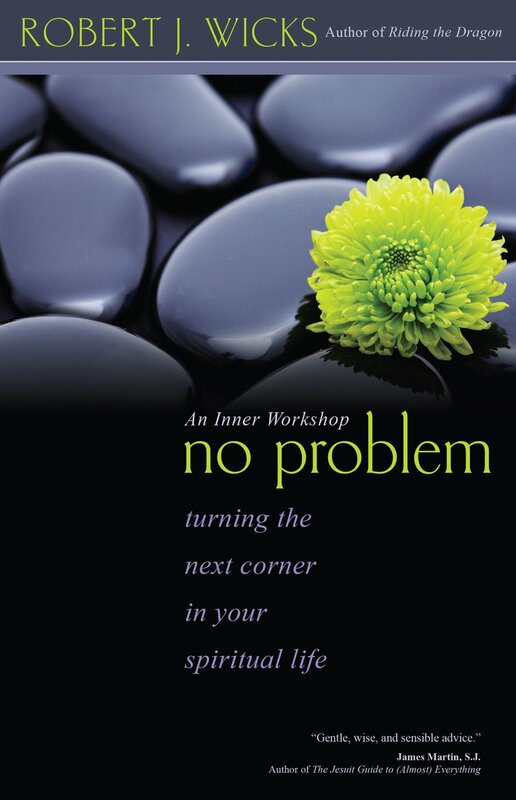 With total book sales of more than 200,000 copies, spiritual teacher Robert J. Wicks brings his characteristic warmth and insight to his newest book, No Problem: Turning the Next Corner in Your Spiritual Life, an "inner workshop" for the soul. He shows readers that personal transformation is attainable through a simple, day-by-day process of identifying and turning the next corner of his or her spiritual life. For Robert Wicks, forward motion in the spiritual life is "no problem." All it takes is the right perspective and a little bit of knowledge—both of which he provides through his book’s three-part structure: twenty lessons, three doorways, and thirty daily exercises. Wicks’s twenty lessons are bite-sized and practical, and he shows how the two great commandments (love God, love others) and the parable of the Good Samaritan form doorways to spiritual riches. In part three, Wicks provides the tools and coaching for readers to conduct their own inner workshops. In these thirty spiritual exercises, Wicks invites his readers to acknowledge, accept, and start where they are, employing simple practices and assuring that God’s grace will carry them around the next spiritual corner. Like most books dealing with the spiritual life, this one doesn't have any ground-breaking insights. It doesn't tell you how you can live life on your terms, ignoring God and then being able to turn Him on when desired. Robert Wicks quotes the oldies but goodies and suggests reading short passages in the book and then living with them for a day. Becoming more spiritual should make you a better person, more the person God wants you to be and this book strikes me as a gentle invitation and tour guide. Grade: B.
I'd like to thank the publisher for making a review copy available vial NetGalley. If I wanted to learn about investing in the stock market, I would go to one of many websites where you can enter a portfolio. I'd "give" myself a sum of money to spend, "invest" it by picking stocks or funds on a particular day, and then, after entering my hypothetical portfolio, watch it for a several months and compare it to both published indices like the Dow Jones and S&P and to what I could do with the money elsewhere. Unfortunately, I couldn't find a way to invest in the Lending Club with play money. Fortunately, I recently inherited a nice sum of money so risking $1,000 on something I knew nothing of a few weeks ago didn't sound quite so unreasonable. If you click on the pictures you can see them better. In short, I bought the new notes at face value so I got 20 of them at $25 each for a total of $500.00. The resale notes were generally bought at a slight mark-up. Also I decided to gamble with small portion of the money and bought some discounted notes that were in grace period (late but not so late as to incur late fees). I then decided I didn't have the stomach for gambling so I sold them, losing $10.80 in the process. If you add the $10.80 to the price of my notes and add the cash still in the account, you get to $500.00 for the "used" portfolio. The question I'm going to explore over the next year is whether peer-to-peer lending is a good idea for me, and, if so, whether I do better with new notes or resale notes. Most of the time when I mention products on this blog, it is because I was given a review copy or some other incentive to do so. In this case, the only incentive is the hope that search engines will pick up this post and grow my readership, so my ad revenue increases. One thing I learned about when reading financial planning and investment blogs was peer-to-peer lending. Basically, this is a process whereby investors loan money to people seeking unsecured personal loans. It is a process that cuts out what we consider the normal middleman on such an occasion, the bank. The borrower, who must have a good credit rating, applies at the website of the peer-to-peer lender (I use Lending Club; Prosper is the other big name). After whatever quick review is done, I'm guessing by computer, the loan is listed on the site, with the listing giving some information about the borrower, the amount desired, and the proposed interest rate. At that point investors (the lenders) can agree to lend money to the borrower, and they do so in increments of $25.00. In other words, you may want to borrow $25,000. I (and other investors) decide whether we think lending you money is a good investment, and then decide how much to lend you--and the most common amount for small investors is the minimum, $25.00. The loan goes through the underwriting process, and the information on the application is checked for accuracy. Once everything checks out, and once enough people have committed to the loan to provide the funding requested, the loan is issued (and they are not guaranteed to be issued; at least a third of the loans I have selected have not been issued, either because Lending Club decided not to complete the process or because the borrower decided not to do so. I've read that over half the applications are rejected). At this point Lending Club takes a commission from the borrower, so the full amount of the loan is not disbursed to him/her. The attraction for borrowers is that these loans, at somewhere between 7.14% and 25.99%, have lower interest rates than credit cards or other sources of unsecured loans. The borrower is required to set up an automatic payment from his/her bank account to Lending Club. Lending Club receives the payments monthly (we hope) and then disburses the money, minus a 1% fee, to the lenders. For lenders, the attraction is a higher rate of interest than is paid by the banks. After reading about this process and reading a bunch of blogs and so forth about peer-to-peer lending, I decided to give it a try as an investor. With any investment, you have to look at the risk vs. the reward. The main risk with peer-to-peer lending is that the borrower will default and not pay all or part of the loan. Since the loan is unsecured, Lending Club's recourse is limited. According to historical data (which you can download and crunch to your heart's content), the average interest rate on their "A" rated loans was 7.73%, however the average rate earned on "A" rated loans, after factoring in defaults and fees was 5.34%. You can see all the data here. There is some "interest rate" risk--risk that interest rates could rise so the "high-paying" note you are holding could turn out to be low-paying compared to what is currently available. Still the risk of that is lower than with a bond because instead of all the principal being repaid to you at the end of the loan term, you get a small amount back every month. The final risk is a liquidity risk--the chance that you won't be able to get your money when you need it. Lending Club isn't the place for money you may need within a couple of days. If you need your money within a week or two, you may have to sacrifice some principal to get it, but there is an active secondary market for the loans, so you should be able to get most of your money is a relatively short time. I'll talk more about that secondary market in another post. 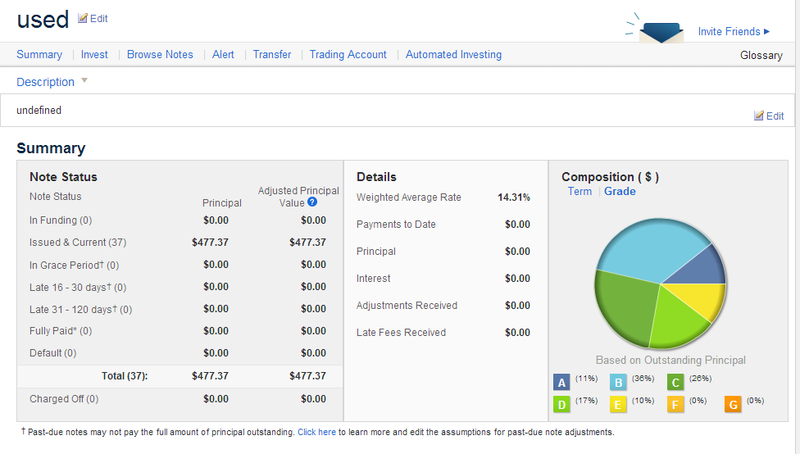 After reviewing all the information I could find about Lending Club, I decided to become an investor. Since that time, I have spent a lot of hours "playing with my money" and I decided I would blog about my experience. Stay tuned for further posts in this series. Action: Includes at least one steamy bedroom scene. Check. Ending: (I don't need to spell it out do I?) Check. Supporting characters: Lifelong friends, loyal dogs and horses that love their owners. Check. Question of the week: Were there any religious sisters in your parish when you were growing up? Are there any now? Which community (ies)? I'm in my early 50's. The parish in which I grew up had a school staffed by the Daughters of Charity. They pulled out quite some time ago, though that parish has managed to keep sisters of one sort or another on staff. I don't even think the ones they have now all belong to the same community. My parish doesn't have any Sisters. The school used to be staffed by the Daughters of Divine Providence but they left in the early 1980s. Three posts this week: Getting Our Financial House in Order, a review of a restaurant review book, and a review of a book about a woman who finds herself while learning about her mother's past. At different times in your life you start to look at different things. With my Dad passing away and with me having to wind down his financial affairs, I've taken a look at our finances and done some reading on financial planning, retirement planning and the like. Since my blog is called This That and the Other Thing, not RAnn's Book Reviews, I'm going to write about some of my thoughts and findings. I'll also admit that this series of articles is a shameless attempt to get search engine attention and attract readers to my blog. There is a lot out there that didn't exist a few years ago. I used to really keep up with the financial world. I read Money magazine, books on personal finance and the like. I kept up with how our investments were doing, compared them to the funds Money was recommending, and made changes when necessary. Then life (and three kids) got in the way. In the last few weeks I have realized that I don't know what an EFT is, much less why they are a very popular product today. I had never heard of peer-to-peer lending, much less invested money in it. While I track our portfolio on AOL, I didn't realize how many websites would analyze that portfolio and tell me what was wrong with it. I didn't know there was a place that you could buy portfolios of stocks related to a theme, even if your theme is "I like them", and basically create your own mutual fund, paying only one commission for the whole "Motif", not one per stock. We really aren't going that badly. I've run a variety of retirement planning calculators across the web and most show us on track to meet our retirement goals, but not way ahead of them. That's a good thing because unlike many of our peers, we are not spending the last decade or two of our working life as empty-nesters. My husband will be seventy when my baby graduates from college, and our financial goals include Catholic high school for her (probably about $10,000/year for five years---high school starts in eighth grade here) as well as college. We are on the downhill slide toward retirement, really. I remember when I started my current job. I had an eighteen month old baby. That baby is now twenty-two and over six feet tall. By the time I started this job, I was no longer the youngest person in the office; not by a long shot. Still, I was part of the young crowd. Now the young secretaries, and even some of the young lawyers call me "Miss R___". At some point I realized I wasn't part of the young crowd and now I know I'm one of the older women. When we used to look at retirement planning we were in the "long term" investor group, the one that had time to recoup losses. 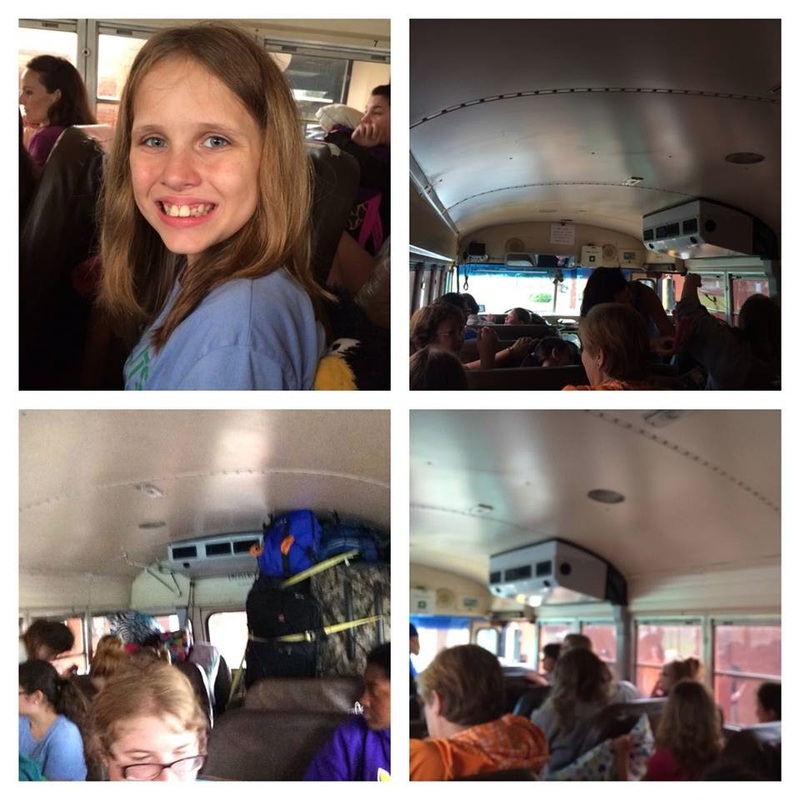 Now we are in the "Approaching Retirement" group, even if I am still chaperoning fifth grade trips. The day I leave the office for the last time will be here before I know it. We decided, at least for now, to get professional help. I believe there are two reasons to hire someone to do a job for you: 1) you need it done and you don't want to do it more than you want the money it will cost you to pay someone to do it for you or 2) the person you are hiring can do a job better than you can and it is something you need done. I'm not sure which reason applies here, but we have decided to get professional help. I generally do our taxes. I don't particularly like the chore, but the reality is that my husband and I are both employees who get W-2s at the end of the year from our employers. Our investments are in mutual funds that send us tax forms yearly. Our house is paid for, so itemizing deductions just doesn't work for us anymore. In other words, I don't need anyone to do our taxes, usually. However, over the last year we've spent a good bit of money on my autistic son and reading what I could, I thought maybe we could deduct that, but I wasn't sure. Time to call in a pro. We have a friend who is a CPA and he used to do our taxes when my husband owned a business. Since I don't believe in asking for professional advice without paying for it (and I doubt my friend would offer such advice) I had him do our taxes this year, and like any good businessman, he tried to sell me other services, in this case financial planning. I had been thinking about looking for someone so I was receptive. I did some research and found that his rates were competitive (a percent of our portfolio) so we decided to give it a whirl. After a year, if we aren't happy, we'll make a change, but at this point in our lives, I think it would be useful to get someone to take a look at what we have and where we want to go, and make sure we are on track to get there. This is the first in a series of posts. In upcoming weeks I'll be writing about my experiences with a new type of investment, what I thought about our financial planning session, and whether we really are on track. I'll also muse about the "now" vs. "later" spending conflicts, and look at our budget (or lack thereof) and whether using one can help us direct our finances to better meet our goals, both long term and short. I'd love to talk retirement with you, my readers. Do you have investments beyond your 401K and garden variety mutual funds? How did you pick them, and why? Do you use a financial planner (or have you been burned by one)? Do you think you are on track for retirement? First published in 1977, the original Roadfood became an instant classic. James Beard said, "This is a book that you should carry with you, no matter where you are going in these United States. It's a treasure house of information." Now this indispensable guide is back, in an even bigger and better edition, covering 500 of the country's best local eateries from Maine to California. With more than 250 completely new listings and thorough updates of old favorites, the new Roadfood offers an extended tour of the most affordable, most enjoyable dining options along America's highways and back roads. Filled with enticing alternatives for chain-weary-travelers, Roadfood provides descriptions of and directions to (complete with regional maps) the best lobster shacks on the East Coast; the ultimate barbecue joints down South; the most indulgent steak houses in the Midwest; and dozens of top-notch diners, hotdog stands, ice-cream parlors, and uniquely regional finds in between. Each entry delves into the folkways of a restaurant's locale as well as the dining experience itself, and each is written in the Sterns' entertaining and colorful style. A cornucopia for road warriors and armchair epicures alike, Roadfood is a road map to some of the tastiest treasures in the United States. There are basically two aspects to this book. 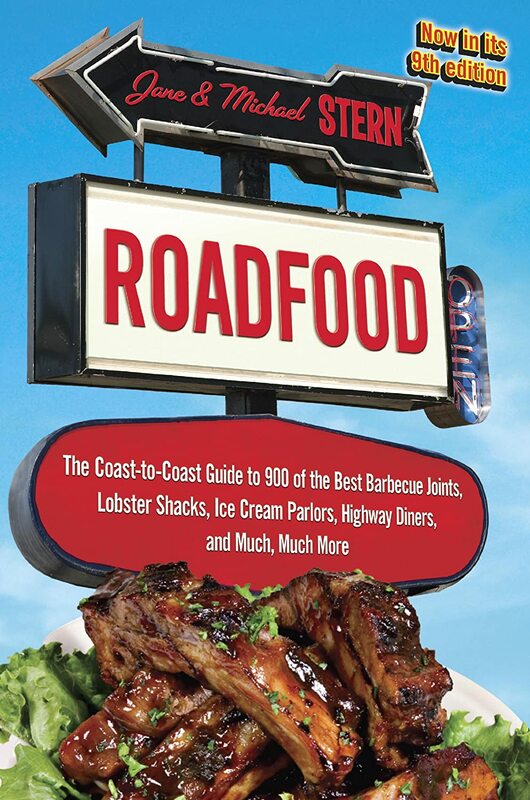 First, it lists what the authors consider to be "900 of the best barbecue joints, lobster shacks, ice cream parlors, highway diners and much, much more". Second, it reviews those restaurants so that potential patrons know what to expect. In coming up with this review, I looked at the listed restaurants in the New Orleans area to see if I thought the ones listed belonged on such a list. Of the fifteen restaurants in the New Orleans area, all are places I've heard of, though there was one (Domalise's Po-Boys) that I only know of because my husband mentioned selling to them. I've patronized nine of them. For those in the know, they range for Galatoire's to Rocky and Carlos and from Morning Call to Hansen's SnoBliz. In general the places I know of are good, though honestly many wouldn't make any "best of" list for me. They are good neighborhood places that aren't, in my opinion, unlike many others in the area. Of course everyone is entitled to his/her own opinion but I think Galatoire's is highly overrated. It is the place to see and be seen but it is a high-end restaurant that is noisy and crowded, not elegant and understated. If I'm going to spend that kind of money, I want elegance and interesting food, not old standards and crowded noisy rooms. Ruth Ann (St. Louis Missouri): Our parish gets their fried chicken from Hodak's for our picnics, Everybody loves Ted Drews ice cream, it is THE place to treat out of towners. so so to me. My husband says Crown Candy Kitchen is a very good place often with lines outside waiting to eat, but Goody Goody Diner is a place to stay away from. Janette (used to travel a lot) Cattlemen's in Oklahoma City is pricey. It is also one of the best steaks I have ever had. Garrett's popcorn in Chicago- Love it. I NEVER pay for any popcorn except theirs. Toni (Brooklyn NY): Katz' deli in the city is on it...omg....I love that place! Best Reuben sandwich ever! Aimee: Okay, I didn't see any on the CT list that I haven't liked. Linda (Jackson MS) I could write a novel about the Elite! My best friend and I were pregnant at the same time and we ate enough off their famous rolls one day at lunch that they finally quit bringing them to us! I've had enchiladas with the governor there and a multitude of meals in between. It's a great place! Kym (MS) The Elite in Jackson is an old school, upscale, soul food kind of place. Kym (Oklahoma) I will say, based on the Tulsa restaurants, that the book limits it stops to eateries ON the road trip routes. Just about every Tulsa restaurant on the list is right along Route 66. That's a shame because if you veer off of 66 for just a three or four minute drive, you can find some amazing places to eat. Ike's Chili is DEFINITELY my favorite on this list. Ike's on 11th (Route 66) has a definite diner feel, and the chili is amazing. Ike's is real chili (no beans), but you can add beans. Put it over spaghetti, and have a "three way." The menu also includes burgers and a number of dishes that highlight their chili (Frito Pie, Coney Dog with Chili, Chili Mac). The atmosphere is fun, with lots of historic photos of Tulsa and the original chili pot on display. It's also budget friendly and draws a varied clientele. Carrie: I've heard of Wintzell's. [Mobile AL] Everyone has. Most people tell me it's really overrated. Sheila: I've been to Dew Drop and Wintzells. I haven't been to Dew Drop in a few years. I've actually stopped going to Wintzells because the food quality went down. The book also has a website so you can check out places in your neighborhood, and leave opinions about places you have eaten. Their focus is on local food served in places frequented by locals. I've enjoyed reading the book and discussing the restaurants with people all over the country. Now I'm ready to hit the road and try some. Grade: A.
I'd like to thank the publisher for making a review copy available via their Blogging for Books program. I was not obligated to write a positive review. I loved this one and I'm giving it an A. Here is a favorite quote (realizing that I had a digital ARC and the final version may have changed, but I hope not too much) "I was realizing more and more that I was just letting life happen to me. Letting it flow downstream and take me with it. I wasn't participating in its course correction anymore." The story is told in the first person by Olivia as she travels to her mother's hometown, learns her mother's secrets and slowly starts to correct the course of her life. She realizes that by not making choices she is making choices, choices that are not making her happy. The research into her mother's past introduces Olivia to people who knew her mother and to a man who is very different from her fiancee. The setting in a lake town in rural Georgia is symbolic. The lake is man-made and it covers what used to be her mother's hometown. What secrets does the water cover? Question of the Week: Any nun (sister) stories to tell? My Answer: One sister I will never forget is Sr. Cephas, D.C. She was living in my parish in her early retirement years, helping out with the school and whatever else struck her fancy. Sometimes I think she caused more work than she did but.... anyway, whenever she'd see a baby girl she'd coo over her and then say "She'd make a really cute sister". 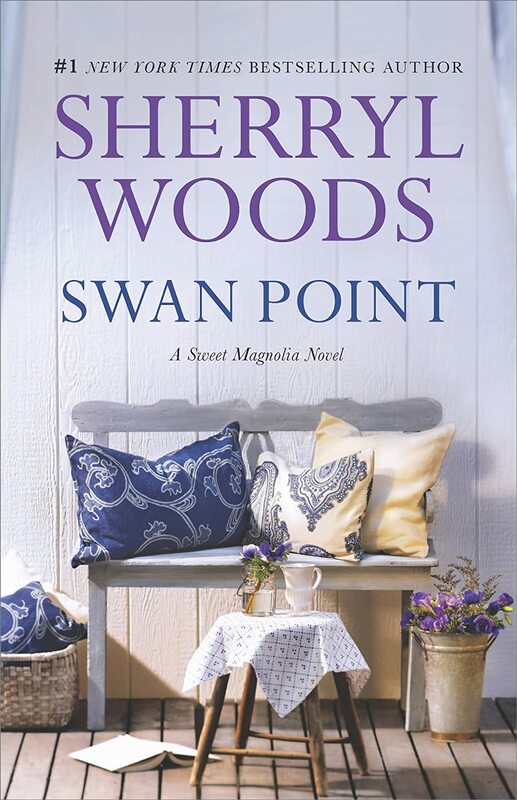 This week I only had one post, a review of a clean romance novel, Swan Point. Determined to build a new life for her family after her divorce, Adelia Hernandez has bought a home in the historic Swan Point neighborhood of Serenity. Promoted to manager of Main Street's most fashionable boutique, she feels revitalized and ready for a fresh start as a single mom. But barely into this new independent phase, she crosses paths with the sexiest man to hit Serenity in years. Gabe Franklin, back in town to make amends for past mistakes, has no intention of settling down, but Adelia's proving irresistible. 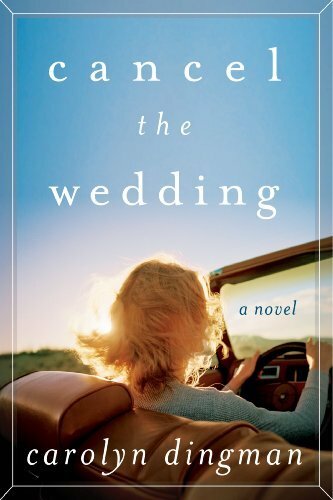 Cheered on by their friends, "the Sweet Magnolias," Gabe is bringing long-absent passion and laughter into Adelia's life. To his surprise—and hers—sometimes a rolling stone is just what it takes to build the rock-solid foundation of a family. Fans of the Sweet Magnolia series will enjoy this installment in the long-running saga. Those new to it may have a little trouble keeping track of all the characters and their relationships, and will wonder why some were even mentioned. 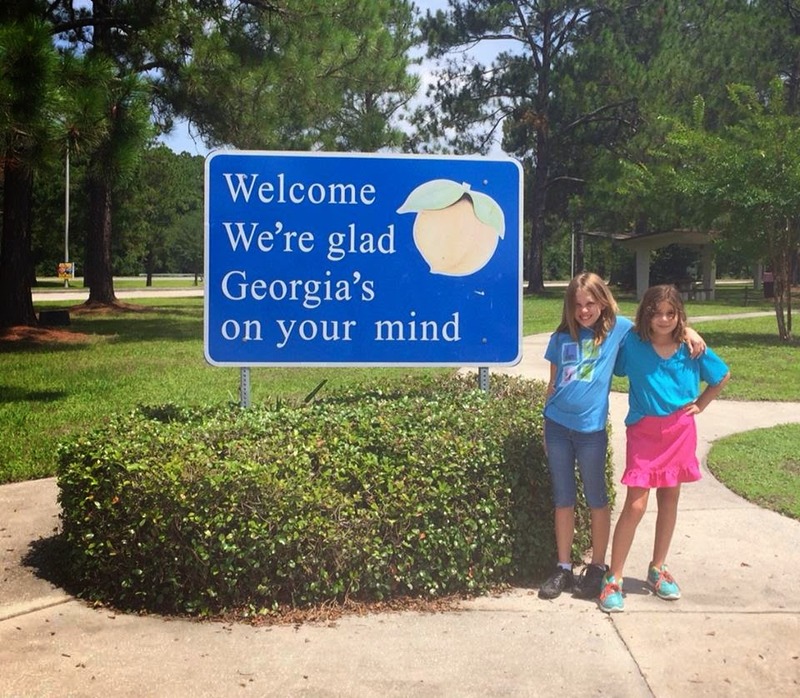 For the uninitiated, the Sweet Magnolias are a group of women from this small town. Most grew up together, though they have expanded their circle to include other main characters in the books. It is the prototypical small town where everyone knows (or at least thinks they know) everyone else's business. One thing I didn't like about the book is the references to Catholicism. The references weren't necessary to the story, and frankly Sherryl Woods gets it wrong. On the one hand she has people staying in bad marriages because of Church rules, but then has them doing things against other Church rules without a mention. I can't give more details without spoilers, but I've seen it in other books by Woods. The book is squeaky clean, no one goes to bed with anyone that we know of. Gabe and Adelia are both likable characters who have been hurt in the past. Adelia is coming off a bad marriage; Gabe had a bad childhood. Adelia knows she is worth loving and won't settle for less; Gabe doesn't think he is worth loving and won't reach for real love. Will they get together? Happy Fourth of July! Ok, it is the 5th but the whole weekend is the holiday, right? Tonight at Mass we sang The Battle Hymn of the Republic, America the Beautiful, Let There Be Peace on Earth and God Bless America. I was at the parish in which I grew up, the parish I attended with my Dad for the last eighteen months of his life. His church buddies were glad to see me and while I didn't know it when I went there, he was one of the Mass intentions. There is just so much stuff there that I'm overwhelmed. My thought was to deal with the easy stuff; either throw it away or give it to new owners and then we can go through the marginal stuff -- diplomas, yearbooks, old pictures. What to keep? What to toss? Question of the Week: Tell us about a priest (or more) who have been significant in your life. I'll talk about two: Msgr. Stephen Adrel was the priest who married my parents. He was the pastor of the church in my mother's hometown for most of my childhood. I remember meeting him a week or so before I started first grade in the parish school and he made me feel so special. I always loved seeing him on the playground (he came over most days to see the kids at recess) even if I didn't like going to Mass. We used to go to my mom's hometown every summer for a couple of weeks and he always remembered me when we shook hands after Mass. No other priest I knew at that time knew my name. The other priest who has been significant is the pastor of my parents' parish, Fr. Louis. He is one of those priests who has the gift of being able to remember names and after I started taking my Dad to church regularly, he knew me and when my Dad was having problems, told me to call if I needed anything. During the last few weeks of my Dad's life he there for my Dad and for me. The last few days of my Dad's life, Father visited more than once a day. His gift is making people feel the love of God through him and I thank God Fr. Louis was there for us when my parents died. This week I reviewed a beach read. I let readers know my two cents about the Hobby Lobby Case. Of course I had to write about a romance novel, right? Finally I introduced my readers to some children's books about other cultures. I loved the writing. I found myself reading passages out loud because I loved the way they sounded. The story was told in the first person and felt like I was sitting on the porch listening to her telling me what happened. I liked reading a book about women who were not young anymore--these women were in their forties, for the most part. 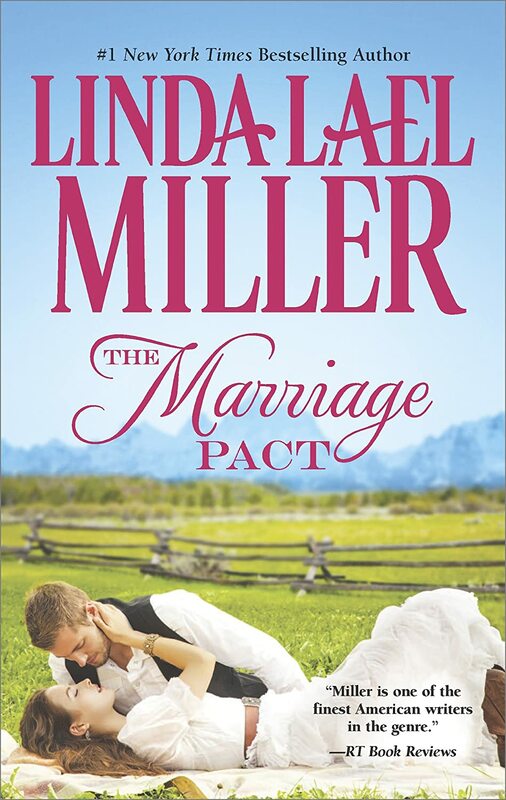 Even though I really enjoy romance novels, I liked the fact that this book did not have a stock plot. 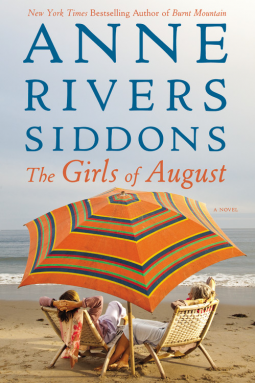 The beach setting was fabulous and Anne Rivers Siddons made it come to life in my mind. What didn't I like? I didn't like the way the three old members of the group treated the newcomer. I found them to be mean and rude. While I can understand them not inviting this 23 year old into their inner circle, I found them to be rude to Baby. I also found there were a lot of things going on that were never really explained--they were brought up and as a reader I'd hope for more information but it never came. We know that all three of the older women will be facing big life changes when they get home, but the book ends with a boat on its way, not with them at home. What made Baby marry a man that much older than she is? What was her relationship with her family? To me there were just too many loose ends and unanswered questions--we joined these women for two weeks on the beach, but we don't know what happens when they go home. In case you couldn't guess, I think the Supreme Court made the right call in the Hobby Lobby case. I don't think an employer who is morally opposed to something, whether that something is birth control (which I admit I morally oppose), or coffee (which I drink) or blood transfusions (which I would certainly have if needed) should have to pay for it. On the other hand, I don't think it is my employer's business whether I use birth control, drink coffee or have a blood transfusion. I think we need to get health insurance out of the workplace and I think we need to allow consumers to pick the health insurance benefits that work for their families. According a form from my employer, my family health insurance coverage costs over $14,000 per year and I pay about half of that. In addition, I pay co-payments, deductibles and out-of-pocket for a doctor who isn't in-network. My insurance doesn't cover dental or optical. In short, my share of my family's healthcare expenses is right up there with food on the top of our monthly expense list (our house is paid for). Nevertheless, because of the laws it is better for my firm to "give" (my firm doesn't give me anything, I earn it) me health insurance than it is to pay me the cost of that insurance. Because of that large contribution, I can't get near the coverage for near the price anywhere else. Because of the laws, the managing partners of my firm get to decide how I am going to spend a large sum of money every month. They pick the company, the deductibles, the network of doctors, the coverage and the premium. Why? Because my firm chooses not to pay me as much as they pay my boss, my housing choices are limited, and there are a lot of places he could afford to live that I can't. Still, within the parameters of what I can afford, I get to pick whether I buy a smaller house in better neighborhood or a bigger house in a lesser neighborhood. I get to decide whether I want all the house I can afford, or whether I'd rather spend less on housing and more on something else. It's my money and my choice. I don't have to live in the neighborhood selected by the managing partners. If we removed health insurance from the workplace, if it became something that people had to buy just like we have to buy food, housing, transportation or clothing, then the market would adjust and provide products that meet the needs of the consumers. My guess is that we would see a lot more high-deductible plans that didn't cover routine expenses like birth control simply because it is dumb to run routine expenses through an insurance company. You'd have a lot less lobbying of Congress to make insurance companies cover this or that because if they do cover it, whatever "it" is, then the price has to increase to cover "it". While I think the Supreme Court made the right decision in the Hobby Lobby case, I don't think they should have been in to position of having to decide it. I don't think Hobby Lobby should be buying its employees health insurance. I think Hobby Lobby and every other company should pay their employees with money and let the employees decide how to spend that money, and that our laws should encourage that rather than the paternalism of the company or the government deciding what employees need. A quaint small town where everyone looks out for you. A bakery that sells special treats. A war hero--an escaped POW. A cute kid. What more could today's romance novel want? Maybe a few less characters--this is the second book in the series and there were a lot of folks I couldn't keep straight and there were referenced to back story that I hadn't read--or maybe to future stories that haven't been published yet. I liked Grace and Jack. Both were trying to escape a less than wonderful childhood. 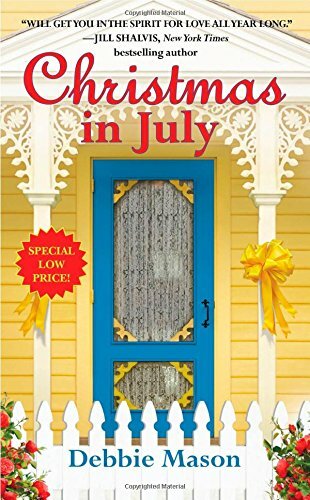 Grace wants to trade the nomadic ways of a military brat for life in a small town where everyone knows you and takes care of you. Jack wants to get out of the small town where everyone knows your business and tells you what to do and what you've done wrong. Jack suffered a blow to his head and didn't remember he had a wife and son. While in captivity he met a beautiful woman. Which will he choose? Since Jack had been gone so long, Grace had decided to move on with her life, and there in the wings, waiting for her was Jack's best friend. Now Jack is back. Who will she choose? Both Jack and Grace are suffering from guilt over a situation that wasn't their fault. I enjoyed watching them heal. I'd like to thank the publisher for making a review copy available via NetGalley Grade: B- (would have been a B with a few less characters).